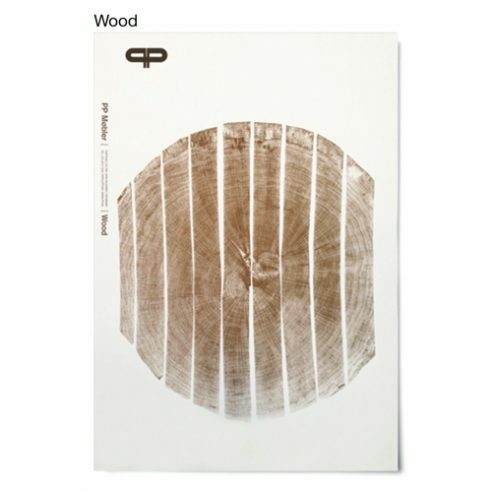 Printed in two colours on art paper this poster features a cross section through a freshly sawn tree. The poster is delivered in a tube. Designs like Hans J. Wegner’s Round, Cow Horn, Valet, Swivel and Bull Chair, require trees that are much larger than those used as standard in the furniture industry. Whenever an area of forest is felled the healthist trees are left to protect new growth. These larger trees, up to 200 years old when felled are known as “Shelter Trees”. The shelter trees used in the production at PP Møbler are a vital part of sustainable forest management supported by the company.